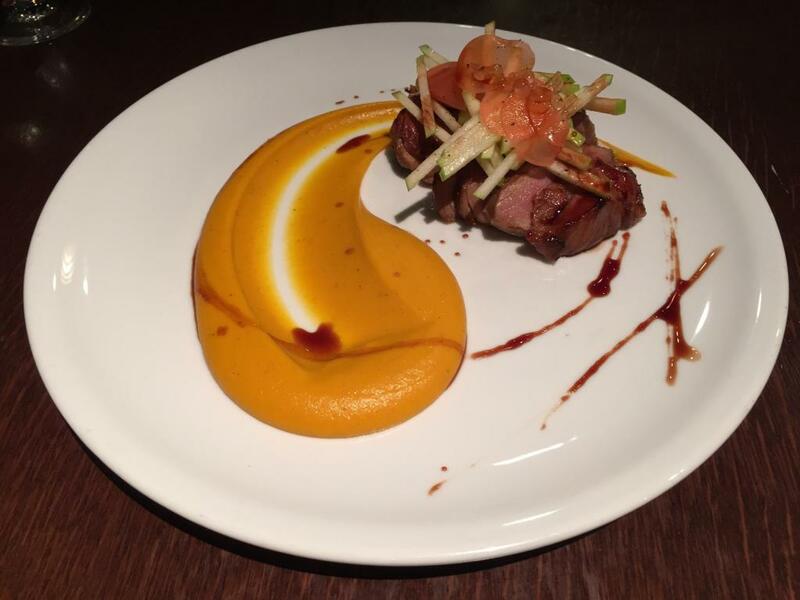 Sweet potato puree, pickled radishes and Granny Smith salad, Port reduction. I'm offered bread. However, for the first time, I'm offered a choice of butter or olive oil. I really don't like eating bread with olive oil. It's extremely difficult to eat. It's just never worth bothering to ask for butter. The Port reduction gives this a tanginess very reminiscent of an Asian dish. I'm sure there's some sort of a honey or sesame glaze here. There's a huge amount of flavour in this meat. This dish would be fine even without the sweet potato puree, which tastes like good pumpkin soup. The big letdown of this dish is the large amount of gristle it contains. Some mouthfuls become unchewable masses, which is somewhat unpleasant. Vanilla ice cream, cherry puree. 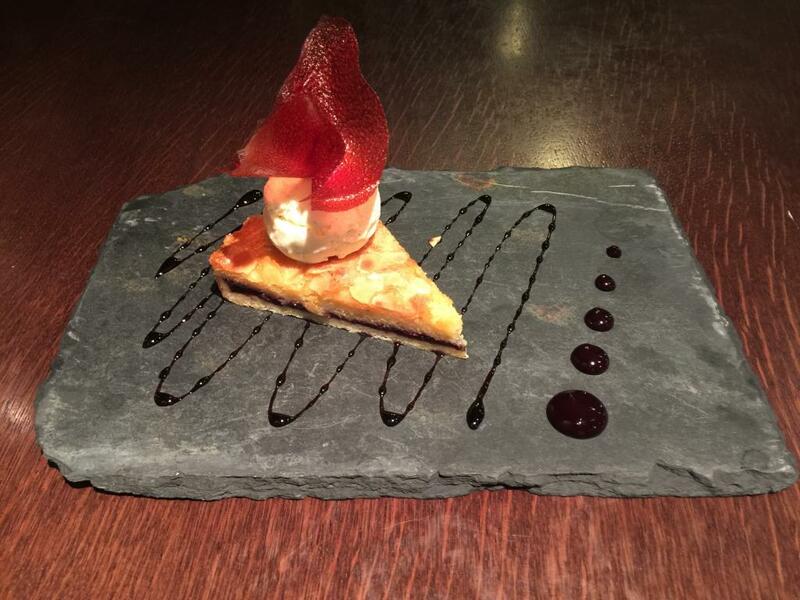 The tart is dense and sweet. It's almost like a macaroon, with a layer of jam. The vanilla ice cream adds much-needed moisture, and balances this dish. The fruity paper on top is like a Roll-Up. I chew on it, before another kid steals it from me.